Today we feature, Sajjad, who originally belongs to Mysore, the cleanest city in India and the cultural capital of Karnataka. He works for a US audit firm and resides in Bangalore with his wife. Sajjad was handling his financial tracking by manually maintaining records sometimes on paper and at other times on excel sheets. We all know how tedious and cumbersome that gets and also so difficult to stick to a routine. He also admitted that he could only get about 40-50% of his actual expenses tracked in this manner. Though, he is financially conscious and maintains all his financial records diligently, it was a challenge to do it all manually and be regular at it. How did he come across Money View? Then he chanced upon an ad for Money View when browsing through a social media platform. He was happy to note that Money View App took minimal details from SMSes and created a complete picture of his finances. He was also glad to note that the App was safe and did not take into account any personal details. He quickly downloaded the App and has been using it every single day since July 2015. 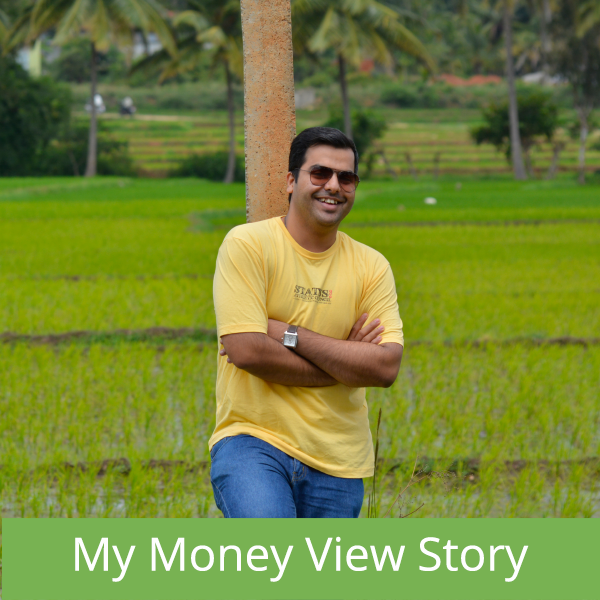 Sajjad has tried out Money View’s competitors but nothing worked for him as well as Money View. He gets prepared reports about his spends which are detailed and have completely brought down the toil at his end. He says, he saves 90% of the time he invested earlier to manually input details and yet gets better quality reports and insights. He is able to forecast his finances better and also is more in charge of his spends. He knows exactly which categories of expenses to control now. He uses Money View every day. He logs in at the end of the day and checks his expenses and inputs any cash expenses. Very impressive, Sajjad, the discipline you display with your money. Daily reminders take away all his worries and he now pays all his bills on time. He also can track his cash gifts and loan repayments better. He likes how his expense are automatically slotted into categories on their own making it easier to track a particular category. He likes the budget feature and loves the weekly, monthly and annual reports that make his financial management a breeze. Sajjad says he is addicted to Money View. Well, this is one addiction that is completely safe and useful, we’d say. If you have a Money View story to share and would like to feature on the blog, do write in to blog@moneyview.in. Interesting. …very nice sajjad you inspired us by reading your article. Same with me bro…. I am also addicted to money view….. Thanks for writing and expressing your thoughts…….